The last Sunday of Ordinary Time is the feast of Christ the King, instituted by Pope Pius XI in 1925 in the context of the growing secularization of the world. Christ’s lordship over the universe is commemorated in various ways in feasts of the liturgical year, including the Epiphany, Easter, and the Ascension. 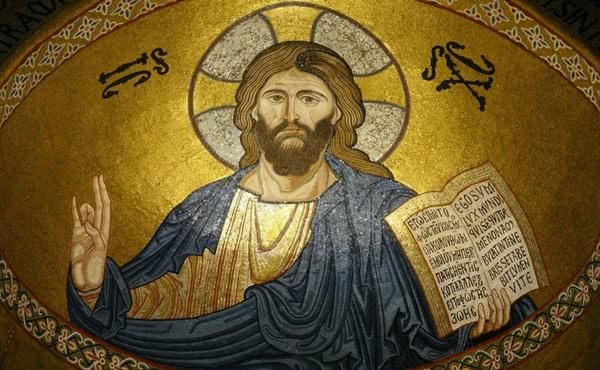 With the Solemnity of Christ the King, instituted by Pope Pius XI in 1925 in the context of the growing secularization of the world, the Church wishes to highlight even more clearly Christ’s sovereignty over all creation, including human history. Jesus’ reign, as the liturgy of the Mass underlines, is a regnum veritatis et vitae; regnum sanctitatis et gratiae; regnum iustitiae, amoris et pacis. Truth, life, holiness, grace, justice, love and peace: these are the values that the human heart most longs for, and we Christians can contribute to bringing them about. We can do so especially through works of mercy done for the most needy, as the gospel for this feast in Year A tells us. For I was hungry and you gave me food, I was thirsty and you gave me drink, I was a stranger and you made me welcome. Nevertheless, Jesus himself warned us, my kingdom is not of this world. His sovereignty will be seen in its fullness at his second coming in glory, when there will be new heavens and a new earth, and all creatures, free from the slavery of sin, will serve and never cease to praise him. Now is the time of expectation, of working for his kingdom, confident that the final victory will be his. Roman Missal, Preface for the feast of Christ the King. Roman Missal, Mass of Christ the King, Collect. 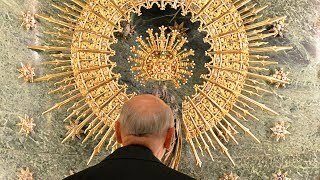 Pope Francis, Homily, 24 November 2013. 7. Commentary on the Gospel: "He loved them to the end"